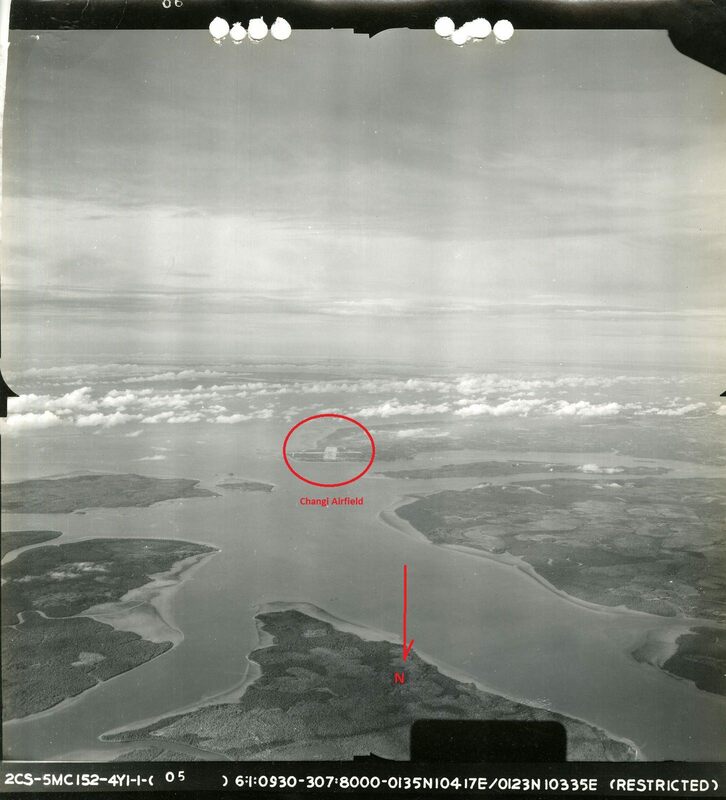 A recent post by Mark Allen M contained numerous aerial pictures of Singapore from 1 June 1945. 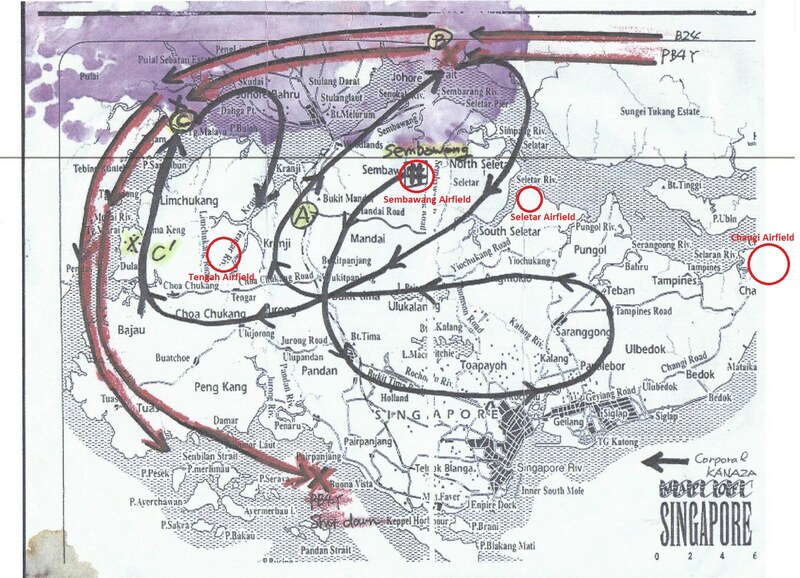 Having lived in Singapore from 2000 to 2007 and flown from there as a pilot, I found the pictures fascinating. Singapore is a country with its' eyes set firmly on the future and with little real interest in preserving history. As such there are not many places in Singapore that date back to WWII. The "Battle Box" at Ft Canning and gun emplacements on Sentosa Island (recent sight of Trump - Kim show) are two of the few that come to mind. Located on an island that is approximately 24 miles E-W by 14 miles N-S, Singapore is today home to 6 airports (4 mil and 2 civil), of which 5 existed in 1945. It occurred to me after looking at Mark's post that while Singapore has mostly erased the "micro" history, these pictures showed some remarkable remaining "macro" history in the 4 visable airports. 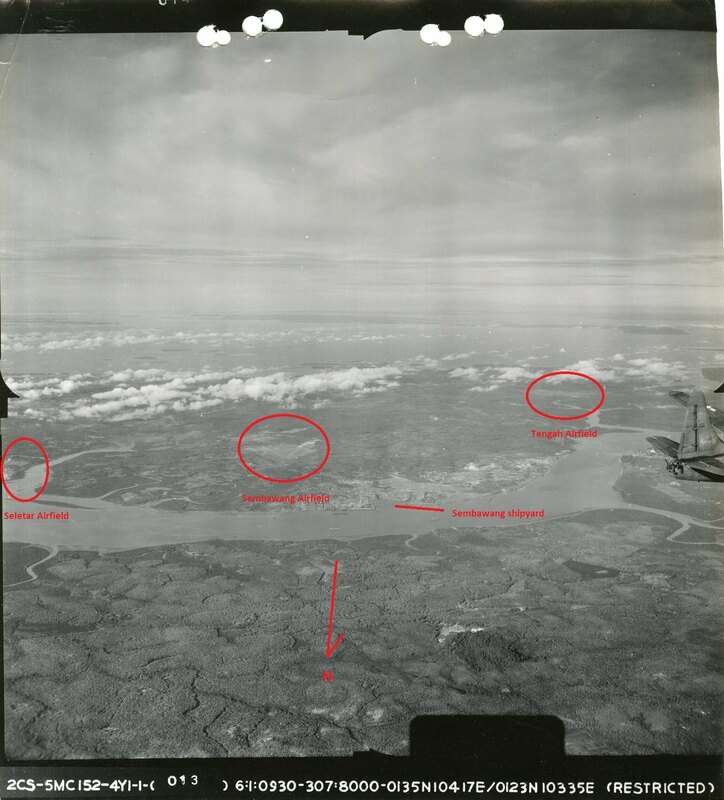 These pictures appear to have been taken from nearly overhead Johor Baru, Malaysia (just to the left of the position marked as "B" on the map). and are generally looking in a SE through SW direction. 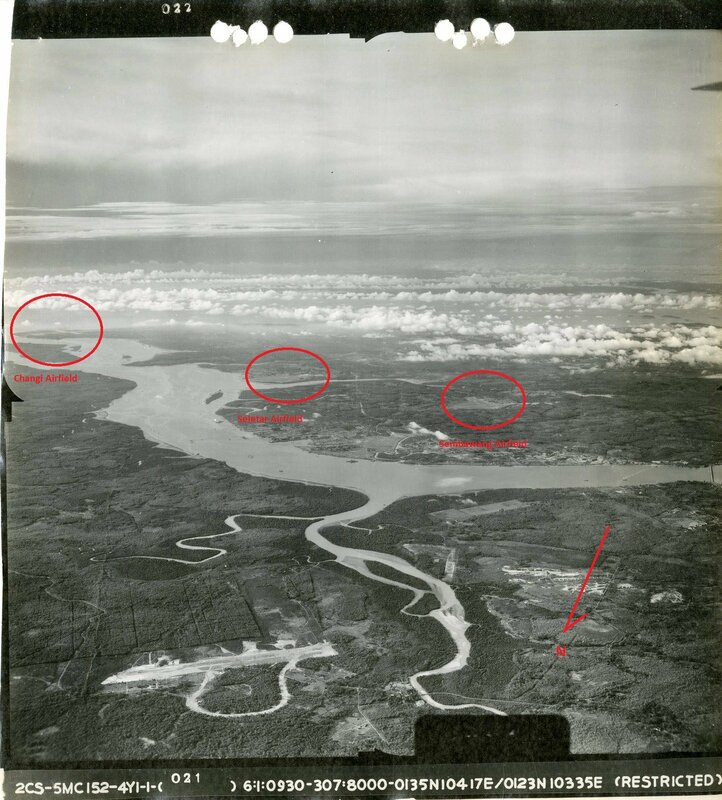 In this picture looking SE you can see L-R Changi (today one of the worlds busiest airline hub airports), Seletar (the first airport in Singapore and the only GA airport) and Sembawang (still a military airfield) airfields. In this picture looking more S, you can see Seletar, Sembawang and Tengah airfields. All of these are well known as pre- and post-WWII RAF air bases. Changi, on the eastern tip of Singapore was the site of a Japanese POW camp that interred mostly Europeans from the region. The airfield was originally constructed by the Japanese using forced labor from the POWs. Today this airport is a massive international hub that is consistently ranked in the top 5 worldwide. That explanation made the photos even better. Thanks to both Mark and Cubs2jets for the enlightenment! Friends dad was a POW there. After the Japanese surrender several of them were at the docks & saw one of the Japanese guards dressed in civvies. Three of them grabbed him, jumped in the harbor & drowned him. The POWs were taken to NZ for a while to fatten them up, the story was the UK didn't want them coming home looking like they did. Uncle was based there with the RN in the '60's. He's at work, aunt is at home & goes to the kitchen to make lunch. Problem: There's a lizard in the kitchen & she freaks out. She calls Base pest control & they tell her not to worry as "it's just a chit-chat, they're harmless" & it will just go away. Calls back a third time & by now she's near hysterical. Pest control are giving her the same story about harmless chit-chats etc & she says "but it's blocking the door to the kitchen"
Pest bloke says "What? ?, how big is this lizard?" She says "It's at least 4ft long". Bloke tells her "Get out of the house! !, we're on our way!" Another airfield/airport that existed in Singapore during WW11 was at Kallang (Kalang on the map and to the North East of Singapore city) which was active from 1937 to 1955. The art deco terminal building, which still remains, can be seen if travelling down the Nicoll Highway.